Whether you're intentionally starting your Christmas shopping or you unwittingly get swept into Macy's by a tide of deal-seekers, you may eventually have to face a public restroom. You'll be sharing it not just with your fellow shoppers, but with a whole mess of bacteria species. Luckily, researchers in Colorado have done some digging into that mess so that you can know just who you'll meet behind the "Ladies" or "Gentlemen" sign. Public restrooms are a great place to find bacteria, as the authors of the new study euphemistically put it, "because of the activities that take place there and the high frequency of use by individuals with different hygienic routines." Furthermore, different neighborhoods within bathrooms probably house different communities of bacteria. To perform a census on these hidden but lively communities, researchers sampled surfaces in six men's rooms and six women's rooms at the University of Colorado, Boulder. Genetic sequencing of these samples told them which species of bacteria were present. Out of all the bacterial types that turned up, there were 19 phyla of bacteria present in every bathroom. 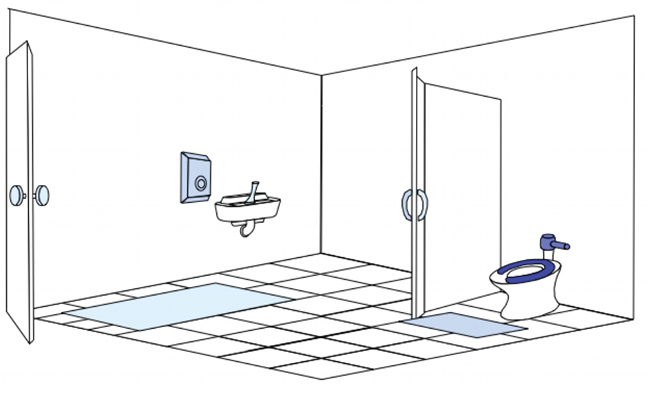 The researchers sampled ten surfaces within the restrooms. These included the in and out door handles; in and out stall handles; sink faucet handles; toilet seat and flush handle; floor around the toilet; floor around the sink; and soap dispenser. The 19 common bacterial phyla they found could be grouped into three communities. The surfaces in the bathroom drawing above are shaded blue according to how rife they were with bacteria that live on human skin. Actually, these bacteria were common on all the surfaces studied here. But they especially dominated surfaces touched by the hands, unsurprisingly. Above, the same drawing is shaded to show the communities of gut-related bacteria. They're most common on the toilet surfaces (remember that in biology, "gut" usually means "feces"). People could have contaminated these surfaces by touching them with dirty hands or with actual feces. 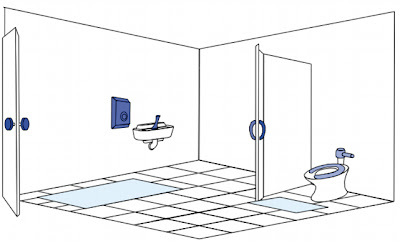 Additionally, a flushing toilet could spray and splash contaminated water onto the toilet's outer surfaces. 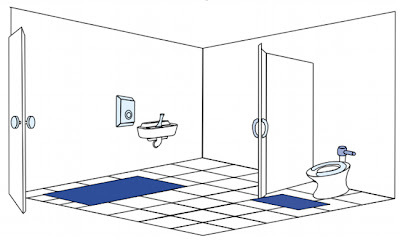 The bathroom floors harbored the most diverse communities of bacteria--not surprising when you think about all the other microbial communities your shoes travel through on their way to the restroom. Many of the bacterial types found on the floor were soil dwellers. This community also appeared on the toilet flush handle, perhaps from cautious patrons flushing with their feet. 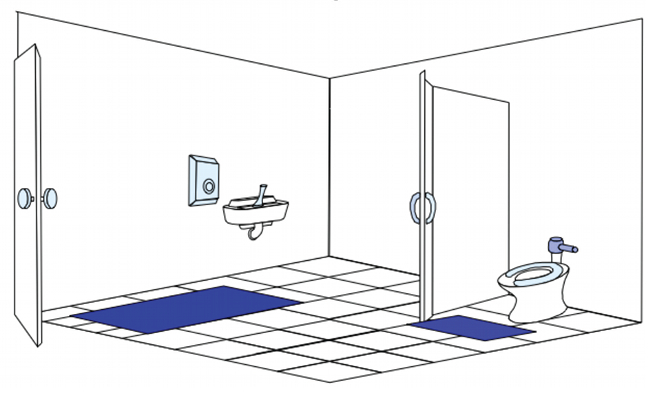 Of course, the reason all these bacteria are in the bathroom is that humans are crawling with them to begin with. The mere presence of bacteria, while unnerving to think about, isn't anything out of the ordinary. 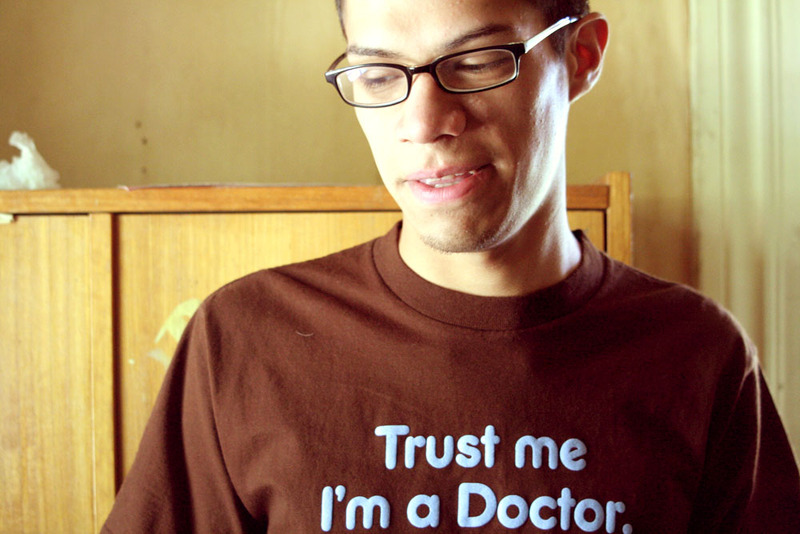 But some of these bacteria, especially ones coming from the gut (remember: feces), can cause disease. The study shows that gut bacteria end up throughout the bathroom, instead of confining themselves to the toilet bowl. Skin bacteria such as staph can also cause disease; a public restroom, like anyplace touched by a parade of strangers throughout the day, is covered with them. All this bacterial diversity seems like a good argument for hands-free technologies in public restrooms. The fewer things you touch, the less chance you have to spread your bacteria around. (Paper towels, though, remove more bacteria from hands than blow dryers do.) Until they figure out a way to remove the public from public restrooms, regular soap and water is the best way to protect yourself from disease-causing bacteria--strangers' or your own. And seriously, stop peeing on the seat.